People with strong social networks tend to be healthier, live longer and are happier. By: Andrea C. Cuniff, M.D. Now, there’s a growing body of research showing that strong friendships can also improve your health. Adults with good social support have a reduced risk of many significant health problems, including depression, high blood pressure and obesity. Women have better odds of surviving ovarian and breast cancers, and both sexes live longer after surviving a heart attack. In fact, a recent study of older adults found that those with large circles of friends lived 20% longer than others with fewer friendships. Despite the proven benefits of friendship, many of us find it difficult to maintain existing relationships or make new ones. In our busy lives, time with friends takes a backseat to jobs, children and other responsibilities. Or maybe you moved to a new community and haven’t met many people yet. It’s also important to remember that when it comes to friendship, quality counts more than quantity. It’s good to have a big circle of friends, but you also want to cultivate a few truly close ones who will always be there for you. Practice kindness. Think of friendship as an emotional bank account. Each kind deed and word is a deposit into this account, while criticism and negativity reduce the balance. Listen closely: Ask what’s going on in your friends’ lives and pay close attention to their responses. When they share details of hard times, be sympathetic but don’t give advice unless they ask for it. Open up about yourself. Being willing to disclose personal experiences and concerns shows that your friend holds a special place in your life, and it deepens your connection. Show that you can be trusted. Follow through on commitments you’ve made. When your friends share confidential information, keep it private. Make yourself available. Building a close friendship takes time. Make an effort to see new friends regularly, and to check in with them in between. If anyone stands out, reach out. Extend an invitation to coffee or lunch, or ask a mutual friend to introduce you. You will need to be persistent, and you may need to meet a few times before you can tell if this new relationship will work out. Attend community events: Look for groups or clubs that gather around an interest or hobby you share. Volunteer: You can form strong connections when you work with people who have mutual interests. Join a faith community: Attend special activities and events for new members. Starting and keeping friendships takes time and commitment. But it’s an investment that can pay off in better health and a happier life for you and your friends. 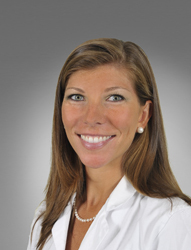 Dr. Andrea Cuniff received her medical degree from the University of Maryland School of Medicine and completed her residency program in Family Medicine at Franklin Square Hospital Center. She is certified by the American Board of Family Medicine and sees patients at MPCP’s Annapolis office.